Have a quick peek at Sarah and Joey's Wedding day at the Broadmoor - their day was filled with beautiful, heartfelt moments, loving family and friends and magazine-worthy design details! I absolutely love photographing Wedding Rehearsal Dinners! This gives me a chance to meet the bride and groom's immediate and extended families, the wedding party and - most of the time - the wedding officiant. I get to put names, faces and relationships together along with the fact that both families and the wedding party do get to know me a little bit. It helps provide an extra level of comfort and enjoyment for everyone on the wedding day! Meet Caley and Jesse - they had a wonderful wedding at the Broadmoor! Right before their sparkler exit, we had a little fun with the sparklers! Meet Kate and Joe! One of the first things I recall about meeting Kate was thinking "wow, we are going to be good friends". Kate was kind, funny and very relaxed about her wedding. In fact, so relaxed and fun that I noticed everyone that she came into contact with said the same thing about Kate - that they considered her not only a client, but a friend. Kate loved the movie Mama Mia and so she brought in many accents from the movie to her wedding day including some yummy Limoncello at her reception. They wanted their guests to see all the beauty that Colorado had to offer, so choosing the Garden of the Gods Club was an easy choice. Deer frequently walk thru the property and you can't beat the view. I remember meeting Laura - oh, a really long time ago! I was shooting weddings with FILM, yes - that long ago. Anyway, since Laura has 3 kids now, we don't see each other as often as we'd like to - but, when we do - it's like coming home. We pick up right where we left off. One thing that you learn in the business of weddings is that each wedding is truly unique! I know that sounds like a total cliche', but it's so very true! Little did I know that I would be hearing Arrested Development quotes here and there (and even witness a chicken dance), it was quickly revealed that the bridal party was full of entertainment! Not only were they hilarious and fun - but breaking into random quotes and songs was par for the wedding day course! We loved it! Sarah and David were surrounded by emotional and touching moments with their closest friends and family but also great moments of fun and silliness! What more could you ask for on your wedding day? We had a blast! Thanks for having us there! 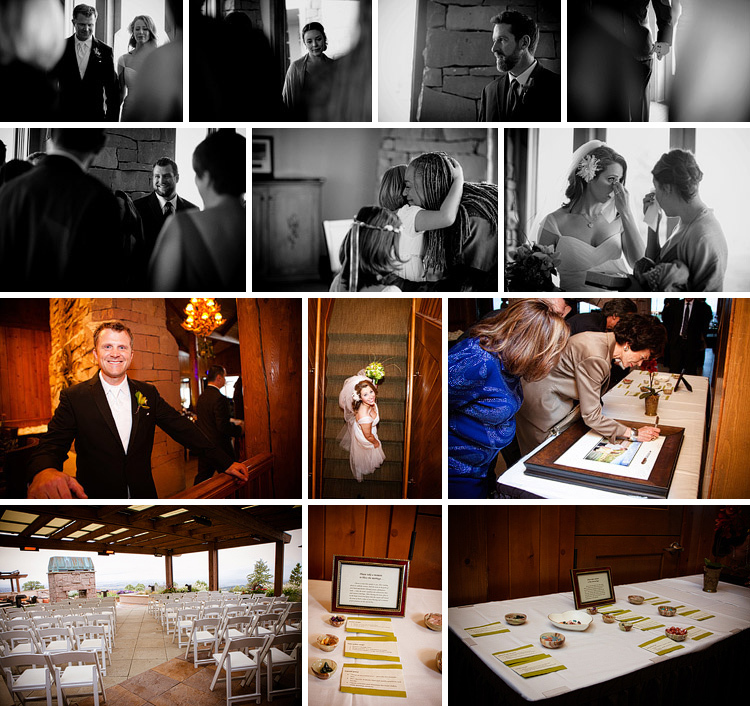 Colorado has been a destination wedding spot for many years - blending a scenic urban location and the great outdoors. You can literally drive 30 minutes outside of downtown Denver and see wildlife and be surrounded in nature. Many of my clients have either grown up here, attended college and met their significant others here or have wonderful memories of family vacations here. Sarah and David planned their wedding weekend from afar and decided to begin their weekend festivities with great family, friends and great food at Tamayo. I love photographing rehearsal dinners for many reasons - however, most significantly, I just love seeing family and friends come from far away places to be reunited with the ones they care for! I love seeing people catch up with each other, reconnect and, of course - the hugs! So, you are planning your wedding and you realize about 1 million details need to be decided upon. One of the most important factors, next to photography (of course!!!) is the wedding menu. Where to begin? Well, if you are getting married at the Broadmoor, about half of your worries will suddenly disappear. I was recently invited to a tasting and I don't get to see this part of the planning for weddings, so I was eager to get schooled. I ended up arriving at the dessert and late-night snack portion of the tasting. Tastings can last up to 3 hours - Yes - 3 hours. Can you imagine eating for 3 hours? I was so impressed by the Broadmoor's entire presentation, attention to detail, the service, the food and how they treat their guests. The chef even came out and met with the everyone and all the food details were discussed. I sat there in awe of the knowledge of the catering manager and I couldn't believe my ears when I heard her say "do you have a recipe for that, we'd be happy to make this item directly from your recipe". I mean, seriously - who does that? Well, now you know. Enjoy!!! One of my favorite things to do is create one-of-a-kind keepsakes and wedding albums are a perfect example of a such an item. One might think this is an easy task, however I equate designing all the elements of a wedding album an entirely new and challenging creative process. There are so many things to take into consideration and, after your wedding day has come and gone - how will you tell your wedding day story? Usually this is with a select handful of images. Your favorites, the ones that make you relive the day. You know what I'm talking about: all the hugs, love, support, laughter, tears, admiration and pure joy that you felt on that very day. My specific goal is to have the viewer feel like they were there - the images from start to finish must flow naturally and organically. It must never feel forced. I usually encourage my clients to select the images for their album, however I also do encourage them to let me do the selections as well - after all, I was there. I remember the conversations happening around me, the laughter, the emotions and, most of all - the good vibes! Once the images have been selected, a design is created based upon those selections. Images are added or edited out to allow for a story to unfold. The next important detail is the actual album! You wouldn't believe what album companies offer these days! The possibilities are endless: photographic or museum quality papers?, hand-tooled leather or vegan?, square or landscape?, embossed cover or photo cover?, metal cover, wood cover, canvas cover or acrylic? There are hand stitched, hand-ripped pages, gold-leaf, organic....the possibilities are impressive! Sometimes I even get overwhelmed with the options! Below is a wedding album that is completely unique. It's a 16x8 album that opens TOP TO BOTTOM, not like a regular album (most albums open like a book). Once the album is opened, it's 16x16 square. The paper in this album is a metallic paper. What is that, you ask? It's a high gloss, high contrast, ultra shiny and super saturated paper. There is nothing really out there on the market like this paper. It's stunning and I only wish it wasn't so hard to photograph! The cover is an acrylic "glass" looking material and the photo underneath is also printed on metallic paper. The colors are really amazing. The leather is a hand-tooled leather with a creative and original pattern. Okay, see for yourself below and my hope these images speak for themselves! I really had a hard time parting with this album, but I know my clients will love it and it will be here for many generations. First, I can't tell you how fun photographing a surprise proposal is! Why? Well, because everything is a surprise! As a photographer, all of your senses and training come into play AT ONCE! You senses are peaked - you notice everything because you are on a covert mission to be sly and go unnoticed. Your skills must be honed and ready in a millisecond to record life changing moments in...A MOMENT! This all sounds very dramatic and IT IS! Photographing a surprise proposal is exhilarating!! Second, it's very exciting that capturing these surprise proposals have become so popular! What a fantastic gift to give your soon-to-be wife (or husband)! Our first location was at the world famous Red Rocks Ampitheatre, where many flock to see the majestic rock formations that make this Ampitheatre a most memorable place to visit. A couple of facts about Red Rocks (I had NO idea!) that I found really cool: Red Rocks is geologically formed, so there is no other place like it in the world...and the park has been open since 1941! How cool is that? Our second location was at the world renowned Broadmoor Hotel. A couple of fun facts about the Broadmoor is that this resort has been around since 1918! The Broadmoor has also been ranked by Forbes as 5 star hotel for 52 straight years. That is a pretty incredible feat and it's no wonder - the hotel has beautiful artwork and a classic old world feel. Once you step foot on the grounds, you are well taken care of. On to these fun images! I've mixed both proposals together for spontaneity! Congratulations to JT and Anna and also to Ian and Kristina!! I wish you many happy lifetimes together! Meet Lauren and Bret. Lauren sparkles and Bret adores her. Mutual friends set them up and Lauren hilariously recalls "I almost didn't go through with it but my Dad encouraged me to go meet Bret. When Bret opened the door, well - that was the end of that!". Funny how those things happen! We planned for some amazing portraits at The Country Club at Castle Pines because the views were so stunning. However, on their wedding day, the weather had other ideas. Unfortunately, we had freezing rain and very low temps, but Lauren and Bret were troopers and braved the elements for some stunning portraits! A beautiful ceremony was officiated by Reverend Cynthia James from Mile Hi Church. We continued to get lots of photo treats - Bret's groomsmen performed acoustically and received lots of cheers and "bravos" but Lauren brought down the house with her rendition of "At Last" by Etta James! The entire venue roared with applause and too many "bravos" to count! Of course, Bret couldn't take his eyes off of her the entire time! Cheers (and many BRAVOS) to Lauren and Bret for a happy and everlasting marriage! 2013 was an incredible year in many ways. We are fortunate to have been in business since 2001 and continue to love what we do! I could list the many weddings and events that we've done this year, but I also feel it's important to share personal work as well. In the off season, I continue my education and dedication to being the best that I can be and I feel it's also important to take the time to recharge my creative batteries! Going to new places and seeing new things help to recharge my creative batteries, which leads me to travel photography. Travel photography is quite challenging. You don't really know what you will be capturing. Sure, you can document surroundings but will the people you encounter want their photo taken? Am I being respectful of where I am in this moment? By having my camera, will I take myself out of the experience to photograph what is happening? Those are some questions I ask myself when I'm out and about. Not only do I recharge myself by seeing new and different things, but I also feel that my photography skill only improves with these experiences. I will continue to blog the many heartfelt weddings and family sessions that we have done this past year, but for now I'd like to share with you some images from my travels from early last year. There were no solid plans that were followed, everything you see here (with the exception of a couple of photos of myself), was every day life unfolding. The sights, smells, colors, people and experiences will stay with me for a long time. The countries represented in this photo montage are: Thailand, Cambodia, Vietnam and Laos. I could go on and on about my business achievements for the year, but for this one post, in the early "new" year, I'd like to share with you these images that are responsible for recharging my batteries, making me a more authentic and aware photographer! Best Wishes for another amazing and creative year - Happy 2014! “In this world there is always one person waiting for another, be it in the middle of a desert or in the middle of a big city. was written by the same Hand, the Hand that awakens Love, and that makes a twin soul for everyone who works, rests and seeks treasure under the sun. I first met Erin in Costa Rica! She was my roommate when I went to Costa Rica to get my yoga certification. We became quick pals and learned that we both collected heart rocks and had small collections from around the globe. She talked a lot about her boyfriend, Chris and she was so excited because he was coming out to Costa Rica to meet up with her after the 30 day training ended. We shared a few hilarious times together - briefly: our other roommate who talked, laughed and yelled in her sleep (LOVE YOU, Francine! ), being awoken at 2am by a huge hissing cockroach that somehow got inside her mosquito net, while using the bathroom, having a giant lizard fall from the ceiling almost on top of her head, and while walking back to our bungalow after dinner in the jungle (in pitch black darkness with only our headlamps) screaming at the top of our lungs when the property's dogs came trampling through the forest (and, on another walk home, screaming again when a horse appeared). I could go on and on! It was one of the best trips of my life and I was so fortunate to share it with Erin! During the yoga training, Erin showed me a photo of Chris. It was on her phone, so it was kinda small, but I could see he was a tall white guy with brown hair. Fast forward to the day after yoga graduation. We were leaving our jungle sanctuary to go into the nearest town to stay in a hostel for a few days and we were craving some major necessities: namely chocolate, wine, sushi, french fries and beer (not necessarily in that order). Erin was staying with us and was looking forward to having Chris meet us in town - a mere 5 hour bus ride from San Jose. Unfortunately, Chris' flight was cancelled, which meant he also missed his connection. Erin was frantically trying to reach him and get information but because he was trying to find other ways to get to Costa Rica, the communication between them was hit or miss. Erin was so sad - she just wanted to see Chris so badly! The day after he was set to arrive, she was hoping that he would magically show up. It had been 24 hours since Chris was to have arrived in Costa Rica. We spent the day at the beach, hoping that she would hear something soon! Francine and I decided to go back to the hotel and on the way, passed a nearby bus stop. There was this tall guy with brown hair kind of wandering aimlessly and I was thinking "I think that's Erin's boyfriend"...So, I said to Francine kind of loudly "Hey, doesn't that guy look like Erin's boyfriend?" and he heard me and ran over and said "Yes, I'm Erin's boyfriend - I haven't had any sleep yet and I went to the hostel and she isn't there - do you know where she is?". I couldn't believe our luck! I was so happy and especially so excited to see their reunion! So, we led Chris to Erin on the beach and Erin ran up to him and jumped on him! Okay, fast forward another 2 days and we saw Chris and Erin a few times, but they were doing their own thing. And then...on the day that I left, I saw Erin and she said that Chris proposed!! Finally I am back to blogging after a very busy summer and fall! You know how there are weddings where there isn't a dry eye in the house? Well, this is NOT one of them. Let me elaborate - with this wedding - THERE WAS NEVER A DULL MOMENT! Meet Kyle and Erica. I knew upon meeting Kyle and Erica that I would be laughing all day long with them and wondering if I should take anything Kyle said seriously. He was *that* funny! 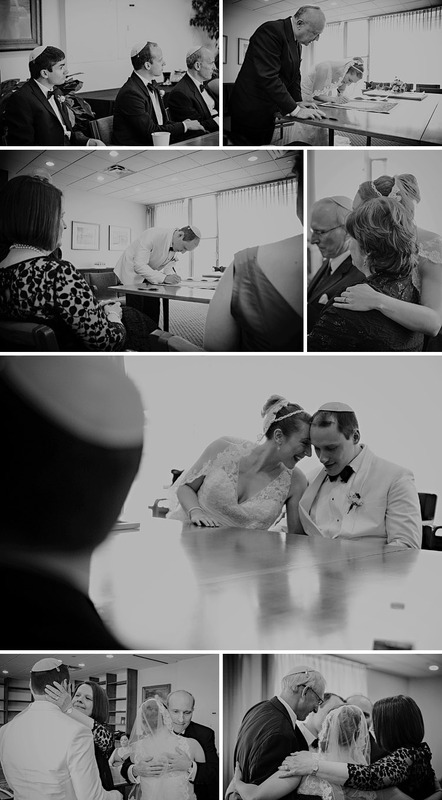 And, when they revealed that when they would be pronounced husband and wife, they were going to be doing Irish Car Bomb shots - I knew that I had to photograph this wedding! I honestly loved the light-hearted hilariousness that ensued all day! Here is Part 2 of Sarah and Trevor's wedding - the PHOTO BOOTH! We laughed all night long and it was so fun to edit these photos!!! In fact, this is a whole spread in their wedding album - how could they not include these? Thinking about a photo booth? My advice is to do it! They are so fun! Meet the wonderful Sarah and Trevor! They planned a fun mountain wedding at the Westin Riverfront Resort in Vail assisted by Taylor of Frosted Pink Weddings. If you know Sarah and Trevor, the day started with casually easing in to the wedding preparation and with lots of laughing! Little did I know what fun lay ahead - that would be part 2 of the wedding, coming up in another post! Enjoy - and keep on laughing! Meet Leslee and Juan. They had a wonderful wedding at Crooked Willow Farms! I loved how fun they were and how Juan calls Leslee "dude"! Their first look was so touching, Leslee just stood there and stared and Juan for a long time. Can't get much cuter! These two were meant to be! Meet Gaby and Mike! Aren't they great together? I think this photo perfectly sums up Southeast Asia! There is so much activity everywhere you go. At first, I wasn't happy with this capture and thought I wouldn't keep it. However, the more I look at it, the more I love it!